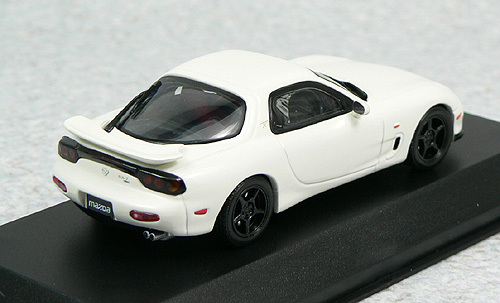 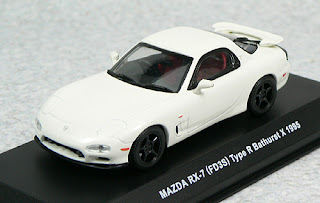 The "Mazda RX-7 (FD3S) Type R Bathurst X 1995" scale model by Kyosho has been re-released, in white, and I will try to get it in order to complete my RX-7 collection (earlier post). 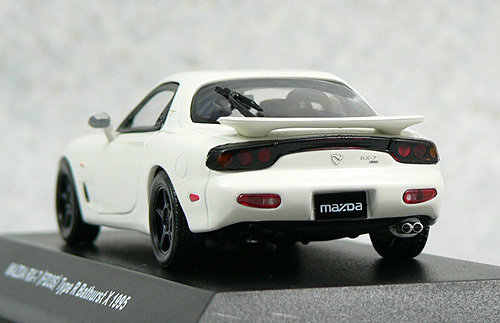 My next order should arrive at the beginning of December. 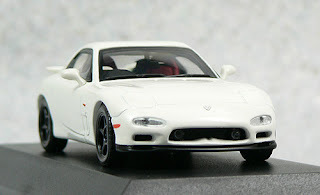 If you want to stay up to date with the future releases by Kyosho, then this is a blog in order to do so. Future releases of Ebbro scale models are announced on their website.